Images provided by John Knoble's great great-grandson James Brett McKenzie. Additional Information provided by Elizabeth Mckenzie. 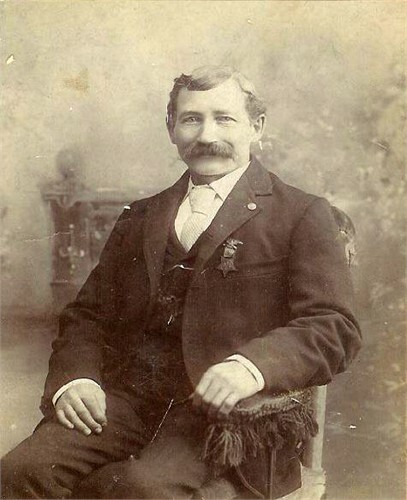 John Knoble was born in Switzerland May 21, 1843 and arrived in the USA when he was about 18 years old (1861). 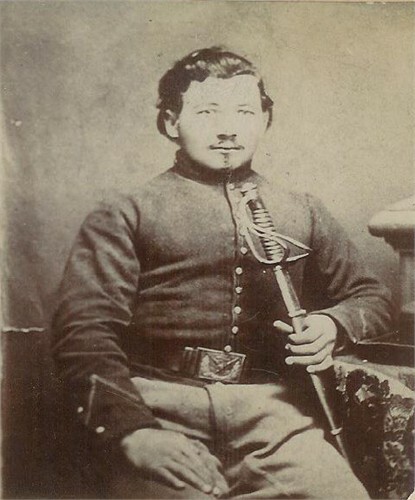 He served as a Farrier in the M&B companies of the 4th Wisconsin. After his discharge, John Knoble continued his work as a blacksmith in Menomonie, Dunn County, where he and his wife Mary raised seven children. John Knoble passed away July 15, 1917 and is buried at Peace Lutheran Cemetery in Menomonie.